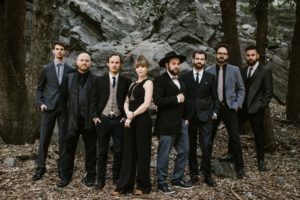 The Dustbowl Revival is an eight-piece Americana and soul band, known for combining the sounds of New Orleans funk, bluegrass, soul, pre-war blues, and roots music into a genre-hopping, time-bending dance party. The Dustbowl Revival formed in 2007, when the band’s original member, Zach Lupetin, a Midwesterner having recently relocated to L.A., posted an ad on Craigslist in hopes of creating a group inspired by brass band and string band traditions. Since that time, The Dustbowl Revival has surpassed all expectations, going from L.A. Weekly’s “Best Live Band,” to opening for bands as diverse as Lake Street Dive, to Trombone Shorty and The Preservation Hall Jazz Band, to touring China as a guest of the State department, and headlining festivals like Delfest, Floydfest, and Hardly Strictly Bluegrass. With their latest self titled full length release, produced by the Grammy award winning Ted Hutt, the band has evolved beyond the confines of its origins and their sound has become even more distinguished. They have become something of a household name for music lovers and at venues and events across the U.S., and beyond, since they made their Strawberry debut at the Spring 2015 Festival. We’re thrilled for The Dustbowl Revival to return, in 2019, with their joyous and vibrant mix of vintage Americana sounds and we hope to see you there! 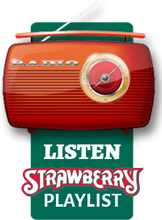 Visit our website for more information, or to buy tickets to see The Dustbowl Revival, along with many other talented performers, at Strawberry Music Festival Spring 2019, taking place May 23 – 27 at the Nevada County Fairgrounds in Grass Valley, CA. For more details or to purchase tickets by phone, call the Strawberry office M-F, 9-5 at (209) 984-8630.